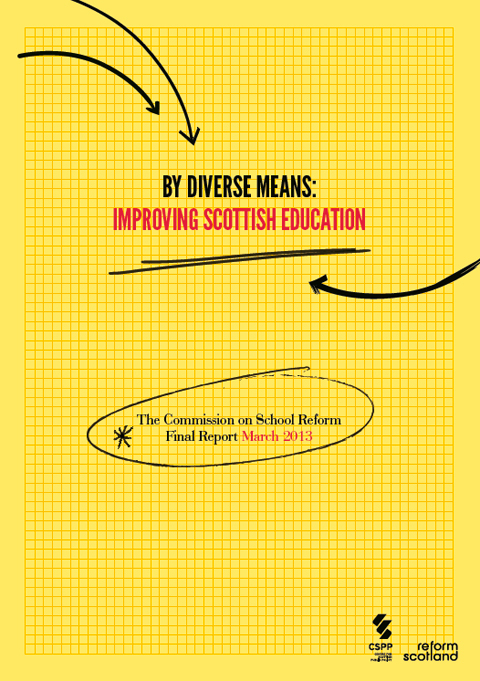 Am off to Edinburgh shortly for the launch of By Diverse Means - the report of the Commission for School Reform, at Dynamic Earth. Keir has been chairing this group for the last year and they've come up with some radical, far-reaching ideas. It's good to see that the BBC has picked up the story already: http://www.bbc.co.uk/news/uk-scotland-21643568 - and trailed it also on its UK pages. Keir will be on Good Morning Scotland (radio) and TV later in the day. It's good to see the publicity momentum beginning to build. This page contains a single entry from the blog posted on March 4, 2013 6:56 AM. The previous post in this blog was A birthday to remember. The next post in this blog is Reactions to "By Diverse Means".